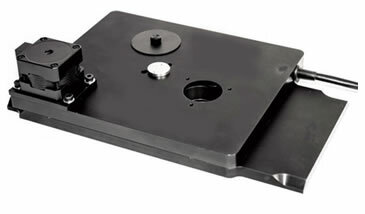 The HF108IX3 emission filter wheel mount directly into the open bay of the Olympus IX3 microscope body making installation quick and easy. By taking advantage of the open frame design of the IX3 microscopes the filter wheel can be mounted below the nosepiece allowing imaging through either the binoculars or camera port. * Speed measured per adjacent positions.